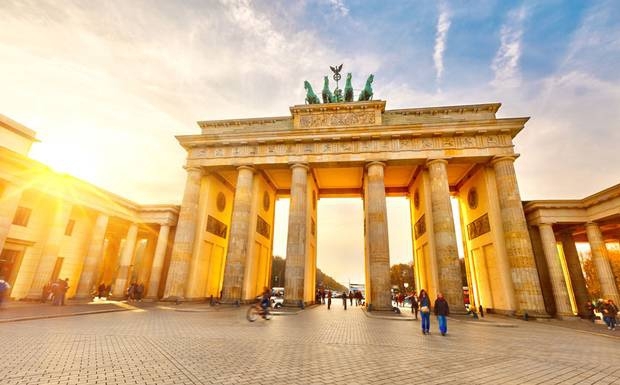 Recognized as Germany’s capital, Berlin is a cultural center, known for its art scene, nightlife and modern architecture. With a turbulent 20th-century history, this is the perfect place to explore, learn, and embrace your next adventure! Are you hungry and looking for something to eat in Berlin? Look no further, because the Currywurst will be everything you’ve ever asked for. A pork sausage that is steamed, fried, sliced, and then served with ketchup and curry, this recipe is the staple fast food dish in Berlin. The Berlin Wall served as the dividing line between the East and West Berlin for 28 years. Today, after the fall of the Berlin Wall, many famous artists immortalized themselves on the East wall through a piece of art never seen before. The East Side Gallery is now the world’s longest open-air gallery, displaying over 100 paintings. Known as a mecca for energetic market-lovers, embrace Berlin’s Prenzlauer Berg’s Mauerpark (open daily from 8am–sunset). This beautifully green park hosts a massive flea market on Sundays, enhancing any adventure with a great variety of vendors. Discover the home to some of the most notorious clubs in the world. When it comes to partying, Berlin is more of a 48-hour than a 24-hour city, with weekends stretching into weekdays. Head to Berghain/Panorama Bar, Salon Zur Wilden Renate, or Watergate to start your memorable night! Feeling a bit adventurous? Climb the glass dome on top of the Reichstag! This glass dome offers a 360-degree view of the city below and is open to visitors. Remember to register online because this is a popular attraction, and tickets may not be available.